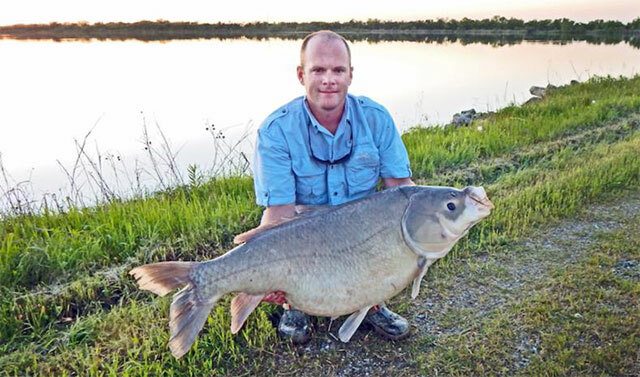 April 25, 2015, angler Allen Bynum, of Ardmore, Okla., was bowfishing in Lake Texoma in Love County when he shot a new state-record bigmouth buffalo. The fish was 43 inches in length, 33 3/4 inches in girth and weighed 60 pounds, 6 ounces. The fish was weighed on certified scales at the Durant State Fish Hatchery. It was kept by the angler. The previous state-record bigmouth buffalo weighed 59 pounds 15 ounces, caught in November 1988 at Greenleaf Lake.